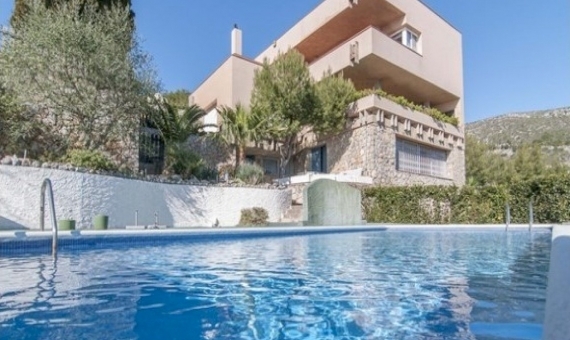 Sale of a modern villa in the prestigious residential area Levantina in Sitges, located just 10 minutes walk from the beach and short distance from the city center. 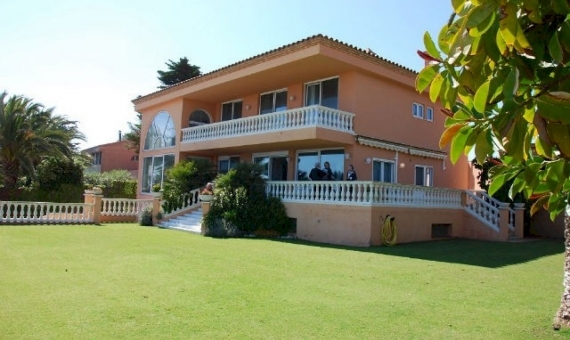 The house has 1,120 m2 of built area (523 m2 of living area), located in one of the largest plots in Sitges that consists of two completely flat lands with a total area of 1,200 m2. 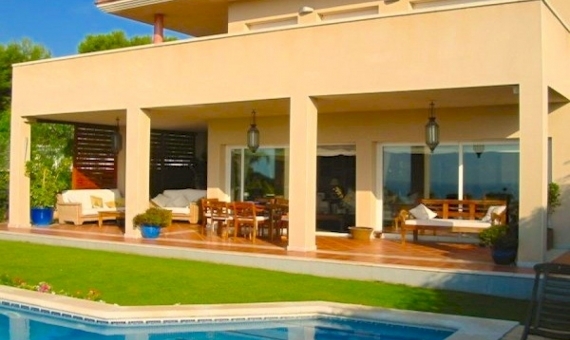 The villa has got 4 living floors connected via stairs and an elevator. Floor 0: it is a large garage for 5 cars, there are also service rooms and machinery rooms. 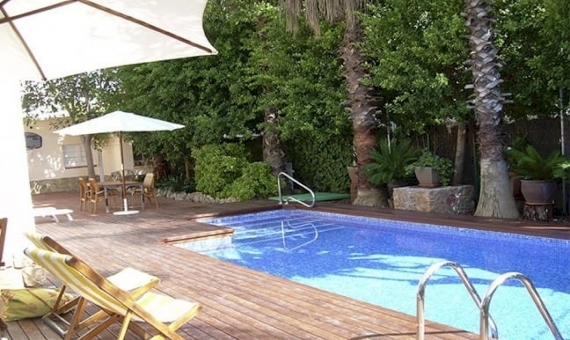 SPA area with jacuzzi, Finnish sauna, relaxation area, shower, summer kitchen with access to the garden with a large pool of 5 x 10 m.
The main floor has a welcome zone, a spacious living room with high ceilings and panoramic windows, a dining room, a kitchen, a bedroom or an office and utility rooms, such as a laundry. On the same floor there are a guest apartment with private entrance, a bedroom and a bathroom. An elegant staircase leads to the library, through which we enter the sleeping area of 3 large suites with private bathrooms and dressing room. Each room has an access to the terrace. A small playroom is in the back of the floor. On the top floor there is a master suite with terrace, a large dressing room, a bathroom with Jacuzzi and an additional bedroom. Premium quality construction and finishing materials. A squash court and a basketball court are also available. 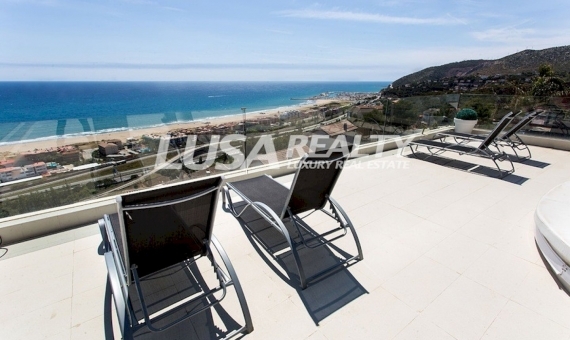 This is one of the largest villas in Sitges, with magnificent views of the Mediterranean!